I finally got around to finishing another Kingdom Hearts papercraft. 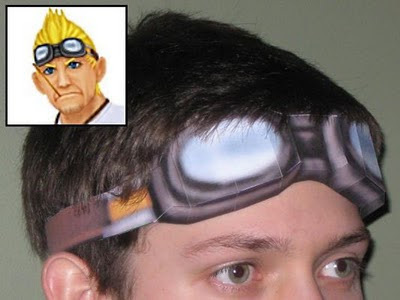 This is a 1:1 scale paper model of Cid Highwind's goggles as they appear in the Kingdom Hearts II video game. Cid Highwind first appeared as a character in Final Fantasy VII. After FFVII, Cid appeared in several more video games, including both Kingdom Hearts I and II. Although his appearance differs from game to game, one constant of his costume is a pair of goggles perched on his forehead. 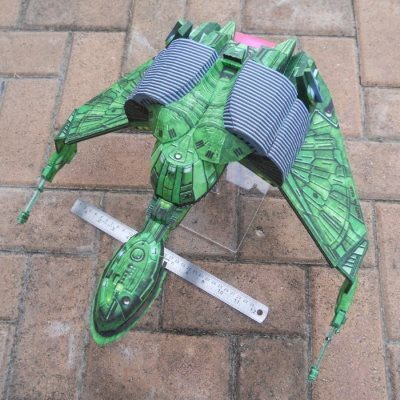 As the template for the goggles consists of only one page of five parts, I give this papercraft a difficulty level of a mere 1 on a scale of 5. A download of the template is available here.